After a long and arduous process that has gone through the Ohio Supreme Court and various public agencies, citizens in Toledo, Ohio will finally get their chance in February to vote on a bill that has caught the attention of environmental groups worldwide. The citizen-led ballot initiative, called the "Lake Erie Bill of Rights," has an odd premise for an industrial Midwest city. Voters in Lucas County will decide if the lake is more or less a private corporation, and has similar rights of redress and compensation for harm that a private company might have when harmed by another. 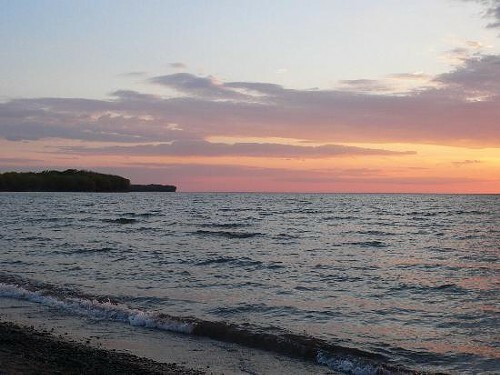 If approved on the Feb. 26 ballot, Lake Erie would be considered a company and the citizens its shareholders. How this would play out in the courts if passed is difficult to predict. In recent decades, Bolivia, Columbia, India, Sweden, Nepal and New Zealand, among others, have moved to recognize the rights of nature; but in most cases, those have been done to satisfy the protests of indigenous groups that have made claims against the country. In this case, the citizens of Lucas County are deciding if people who live there can take the agricultural businesses, for example, to court for polluting the lake with phosphorus and other nutrient loading from the Maumee River watershed that flows into the lake. How this will play out legally if passed is total speculation at this point. 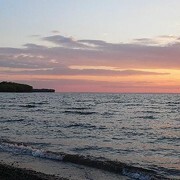 The rules and regulations as applied to Lake Erie have the influence of two countries (Canada and the United States), four states (Michigan, Ohio, Pennsylvania, and New York), and numerous cities and counties. So how courts will interpret all this is impossible to predict. 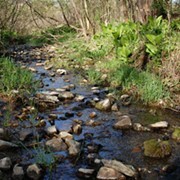 As it stands now, if an agriculture business violates state watershed polluting regulations, it would have hearings before state agencies and be asked to comply if found to have violated state or federal laws. The business might get a small fine, and then be asked to change their practices. Future testing would then be done, but would include lots of lobbying by agricultural interests and lots of policy debate by the legislature. It is usually the exception when the individual businesses doing the polluting will be fined heavily and made to change their practices in a reasonable time frame. What passage of this initiative could do is to bring the polluter to court and have a local judge decide if the pollution violated state or local laws and assess what cost the pollution caused. The “harmer” of the lake might then have to pay large amounts to the local city or county for cleanup costs and/or prevention programs. It also could include criminal penalties and loss of business permits and operating licenses for violators. The backers of this bill say the real benefit will be to have a threat in place that will reduce pollution. This all began in August of 2014, when the western basin of Lake Erie was hit by a harmful bloom of cyanobacteria (blue-green algae). Nearly 500,000 Toledo-area residents had no clean drinking water for three days due to high levels of microcystin. Citizens groups popped up and wanted to find ways to prevent future algae blooms, and this ballot initiative is the result of that work.